Though Michael Jackson was wed to Debbie Rowe, it has come to light that neither Rowe nor Jackson were biological parents to their children. They were conceived using donor sperm and egg while Rowe’s womb served as an incubator. Though neither Rowe nor Jackson ever spoke publicly about their kids’ true lineage. The biological father has been discovered. It is Arnold Klein, Jackson’s L.A.-based dermatologist and Rowe’s former boss, multiple sources confirm. Michael Jackson’s Kids – WHO ARE THE REAL PARENTS ? Everyone already knew that Michael Jackson was not any of his babies daddy. Others argue that just because a child has a mixed harritage doesn’t mean that you will be able to tell just by looking. This is true to some extent, however, you wouldn’t expect them to look Swedish either. We thought the “CAT WAS OUT OF THE BAG” when mother Debbie Rowe did a recent interview in which she admitted that her marriage to Michael Jackson had been a sham and that she had offered her womb to the singer to bear his spawn. Well, apparently, there were still a few cats left in that bag! We have now learned that Debbie Row is not the biological mother of the two children that she bore for Jackson. All three of the children were conceived in vitro (outside the womb). Multiple sources deeply connected to the births tell us Michael was not the sperm donor for any of his kids. Debbie’s eggs were not used. She was merely the surrogate, and paid well for her services in the births of Michael Jr. and Paris. In the case of Prince Michael II(the youngest), we’re told the surrogate was never told of the identity of the “receiving parent” — Michael Jackson. Three days after Prince was born at Grossmont Hospital in San Diego County, Jackson’s lawyer came to the hospital to pick the baby up and deliver him to Michael. We don’t know if Jackson chose the sperm or egg donors or if he even knew who they were. Although Rowe is not the biological mother, it’s not certain that she would lose a custody battle. This type of case has never been litigated in California courts. Since Rowe was married to Jackson when Michael Jr. and Paris were born, there’s a presumption that she’s the biological parent. That presumption can be rebutted by other evidence. We know there are documents outlining the whole arrangement for the birth of all three kids. Nonetheless, it’s still an open issue with the courts. As the media in the U.S. continues to shield the world from negative publicity surrounding Michael Jackson, the UK is telling it all. Here is partial interview with Debbie Rowe. The mother of two of the Kink of Pop’s three kids. I, like many other, always felt that Michael’s child bearing was an attempt to misdirect attention to the alligations that he had inappropriate relations with children. Here is further proof to back up those suspicions. MICHAEL Jackson’s two eldest kids face a tug-of-love battle after their mum Debbie Rowe confessed he was not their father. In an astonishing interview Debbie – mother of Prince, 12, and Paris, 11 – said she was artificially inseminated by an anonymous donor. And she told how, despite Jackson’s death, she does not WANT custody of the children and NEVER expects to see them again. It means Prince and Paris now face a doubtful future, effectively without parents and the subject of a fight to find them a permanent and stable family home. More uncertainty surrounds what will happen to Jackson’s third child Prince II, known as Blanket, the identity of whose mother has never been made public. 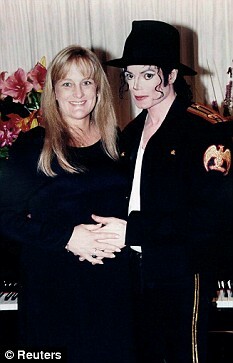 The world was amazed 13 years ago when Jacko announced he was expecting his first child with Debbie, a receptionist at a Beverly Hills dermatology clinic where he regularly went for skin treatments. 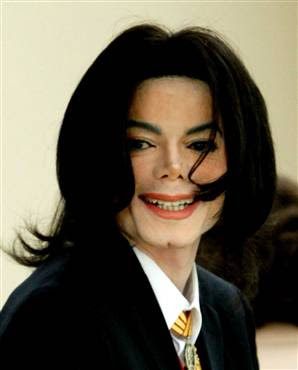 Speaking exclusively at her home Debbie said: “Michael was divorced, lonely and wanted children. I was the one who said to him, ‘I will have your babies’. Debbie said she was “impregnated” like one of the thoroughbred mares she now keeps on her property, adding: “I was just the vessel. It wasn’t Michael’s sperm. Blonde Debbie, now 50, spoke out at the ranch in California where she lives as a virtual recluse surrounded by dozens of animals. HE cruelly ditched her when the painful second birth left her “all torn up inside” and unable to give him any more kids.